Lord, today we pray about the yellow fever outbreak in Brazil. We are discouraged that this year’s outbreak is even worse than last year’s, and that it is reaching areas that were not previously considered vulnerable. We pray for the families and friends of the hundreds who have died from the disease this season. Please comfort them. 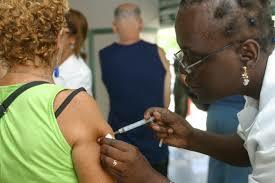 We pray for vaccination efforts, that they would be efficient and successful. We pray for numbers of cases to diminish drastically, representing the battle against this disease making great progress. Finally, we pray for those battling this disease right now. We pray their immune systems would rally, they would get the medical care they need in the right timing, and that they would overcome this disease! In Jesus’ name we pray, amen.